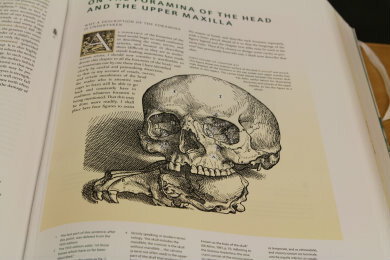 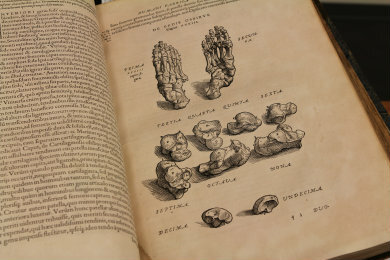 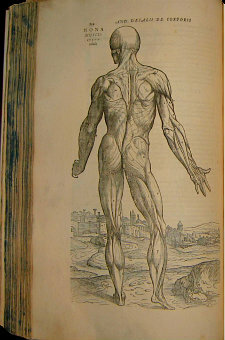 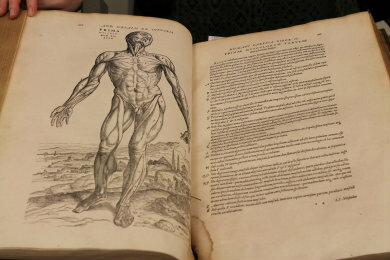 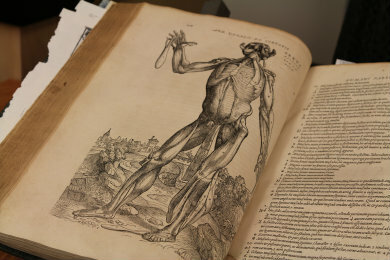 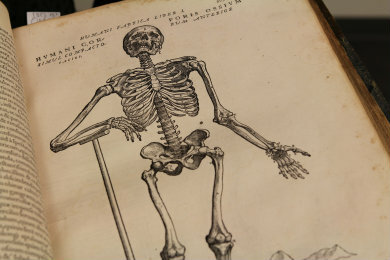 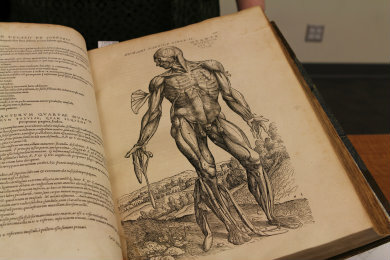 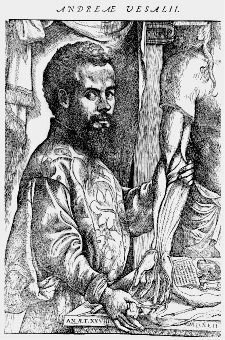 Later that year, having realised the popularity of his anatomical drawings (many of which had been reproduced without his permission), Vesalius sent the first iteration of The Fabrica off to his printer, Johannes Oporinus. 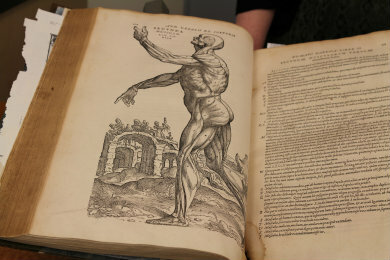 But he was an exacting, fastidious and eccentric creature, and when he sent the manuscript, it was accompanied by a stern warning to Oporinus to not even slightly alter any tiny piece of text, and to remain 100% accurate and faithful throughout. 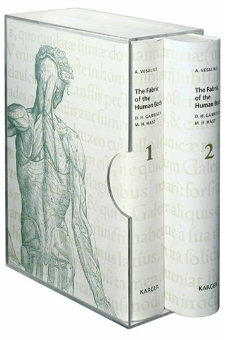 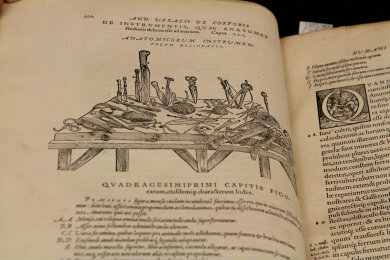 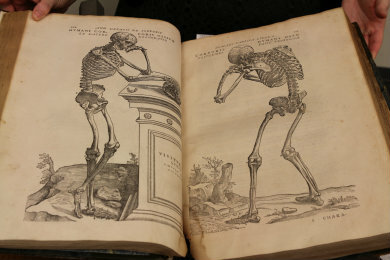 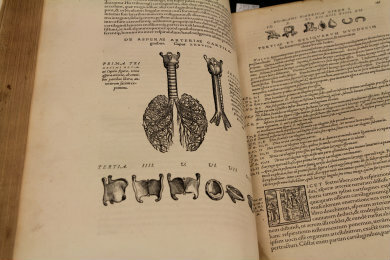 Despite all accounts supporting the printer's success in that regard, Vesalius was disenchanted when he received the finished product, and immediately began work on the second edition of the Fabrica, this time with annotations.